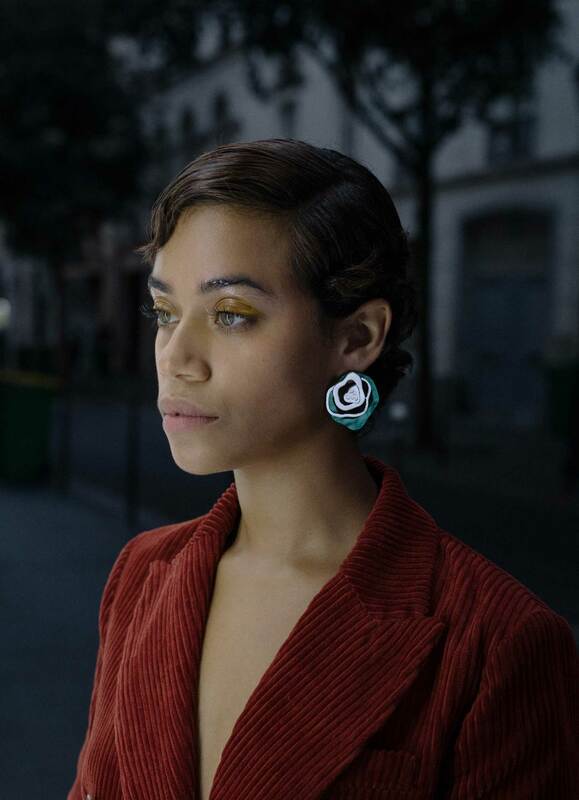 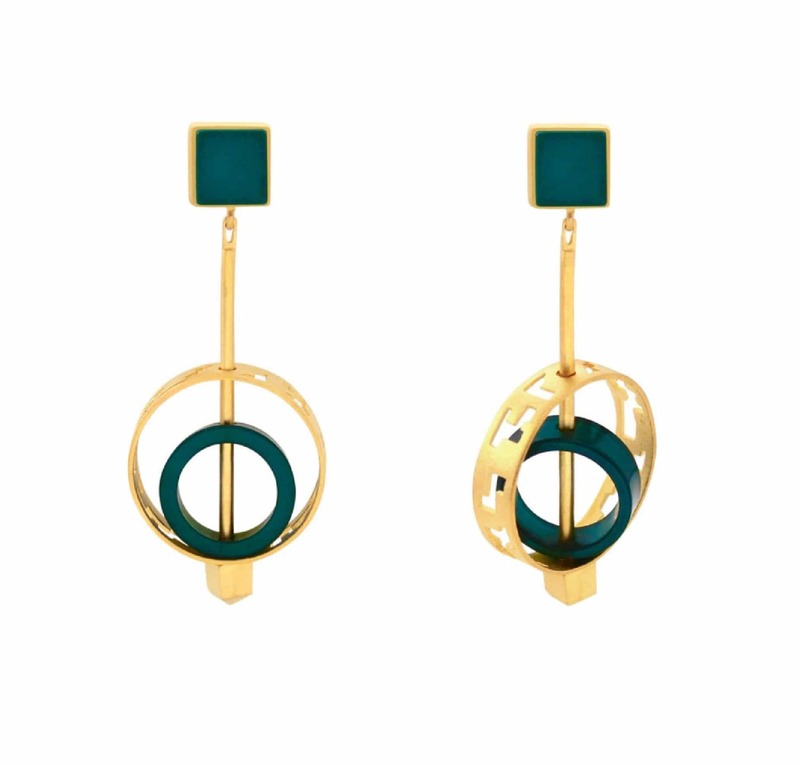 Inspired by the city's building bricks & blocks, the City Grid Earrings represent the woman's significant role in building the urban society. 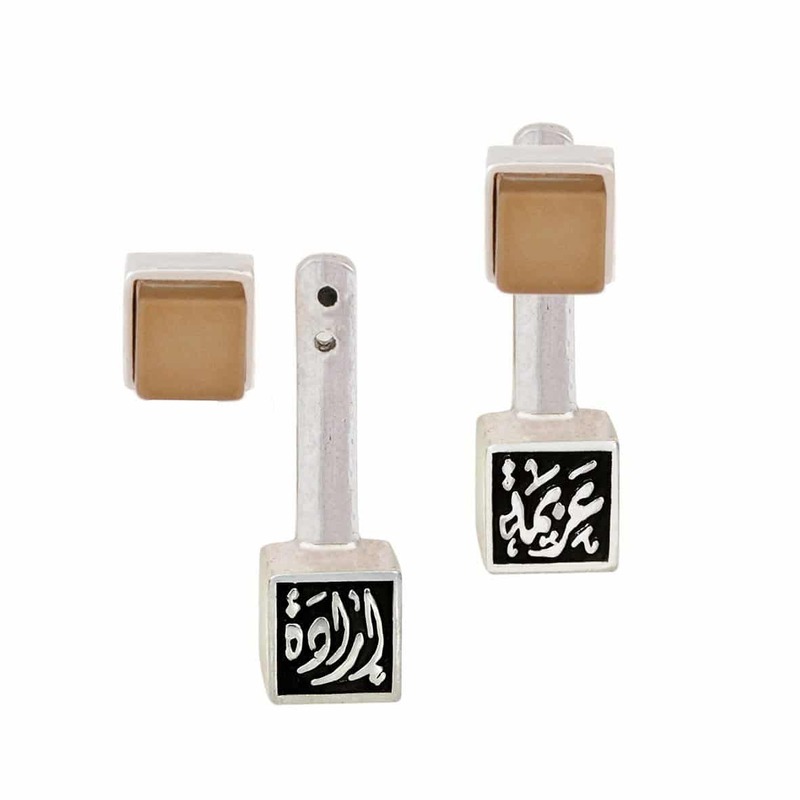 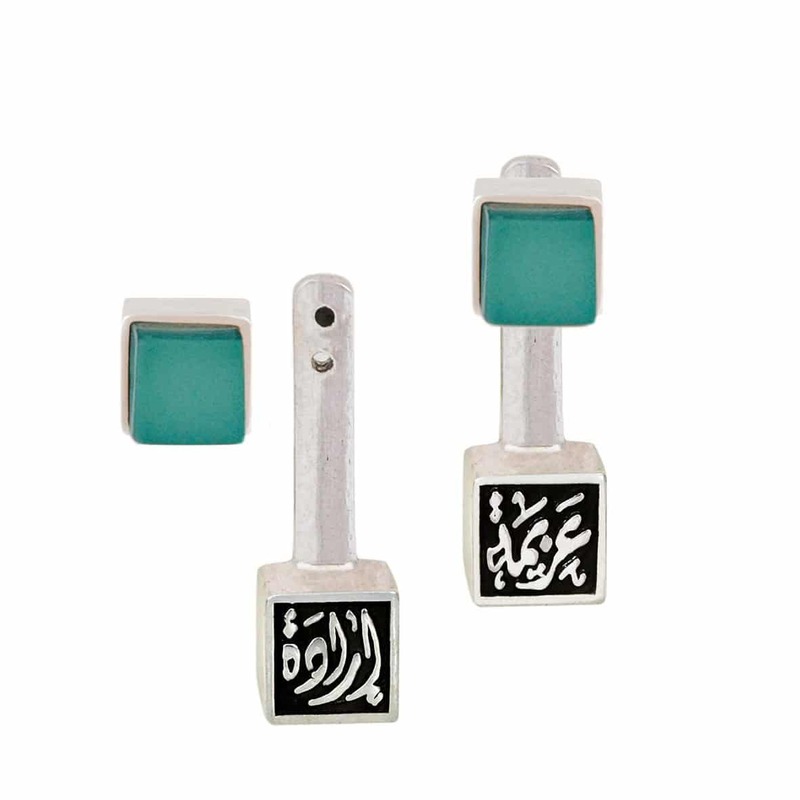 They feature Arabic calligraphy that reads "كبرياء", which translates to "PRIDE". 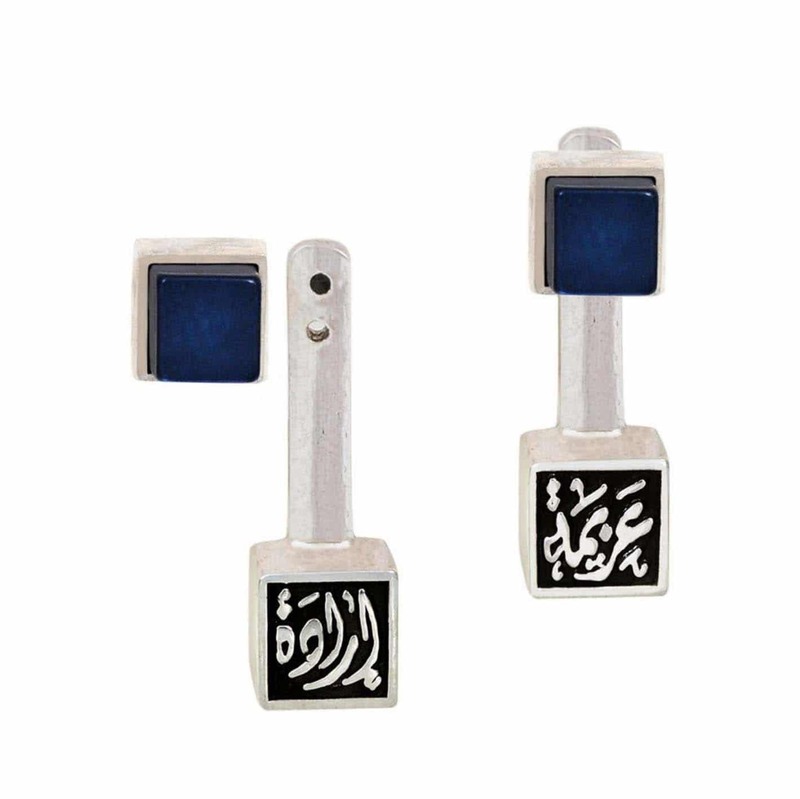 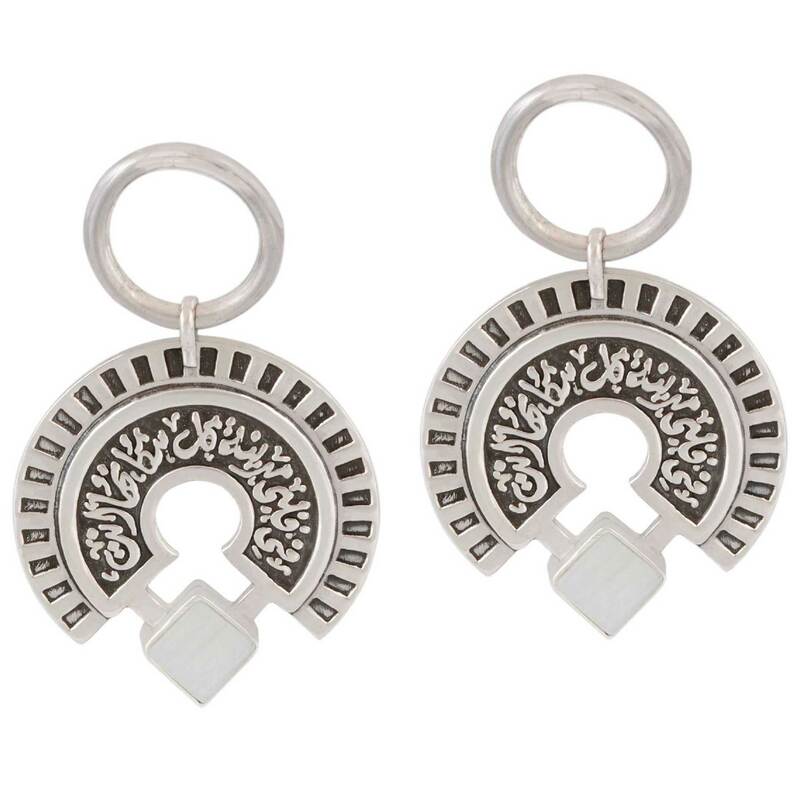 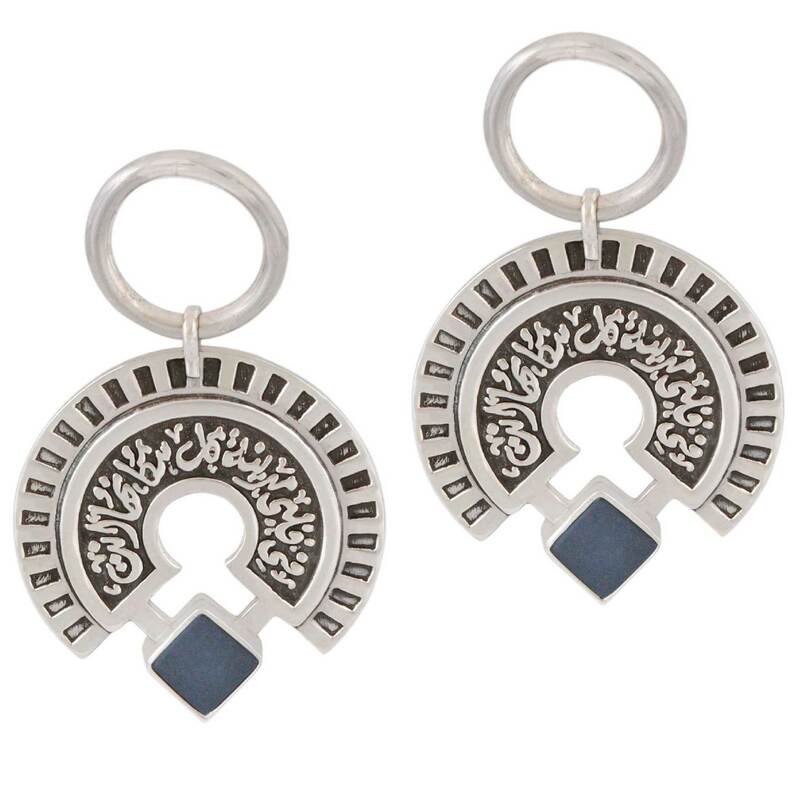 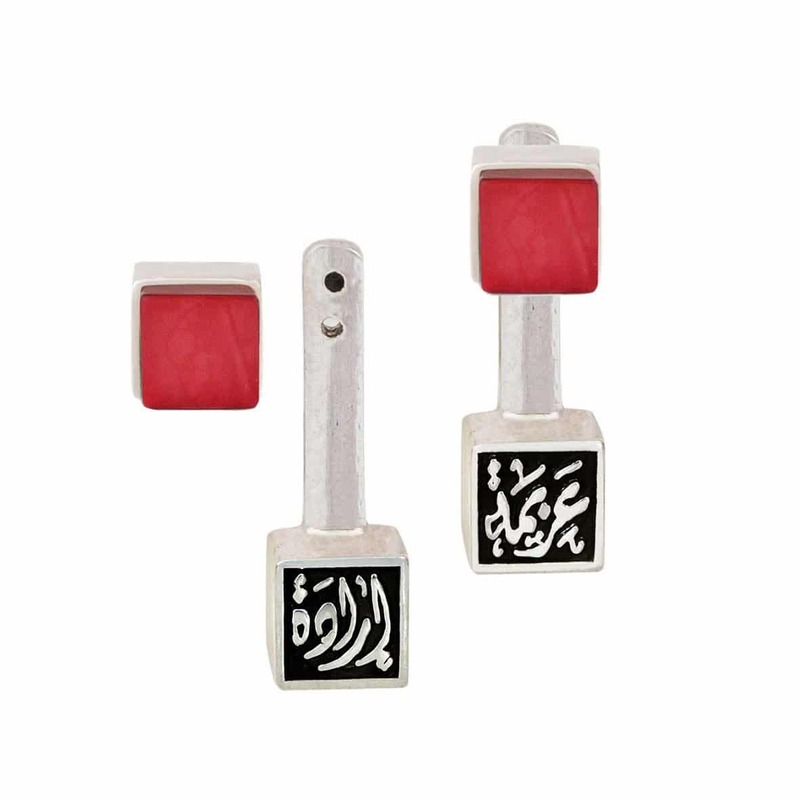 These handcrafted earrings are made of 925 sterling silver and custom-made Resin stones. 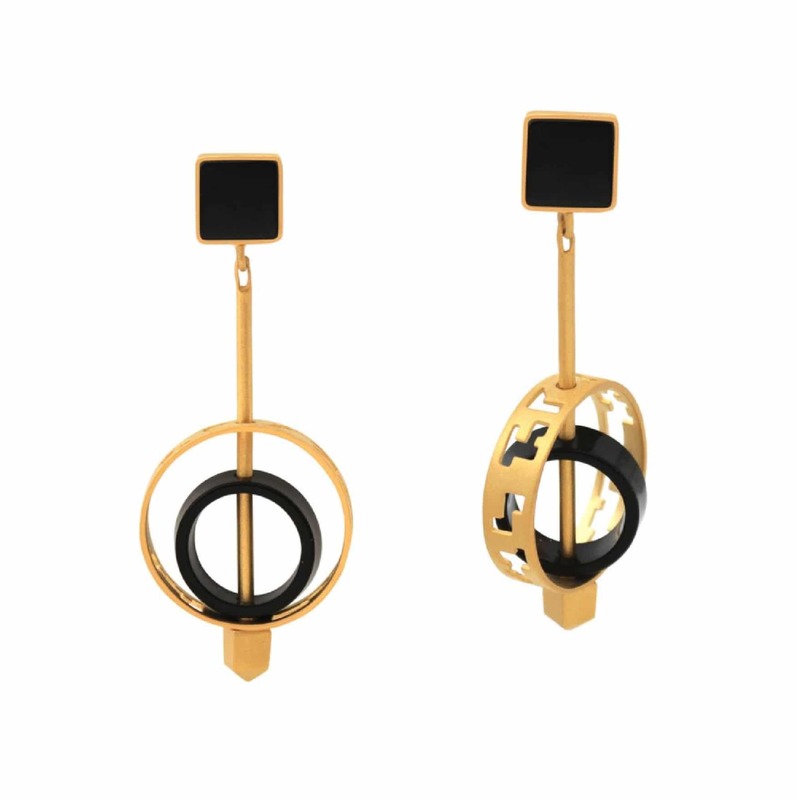 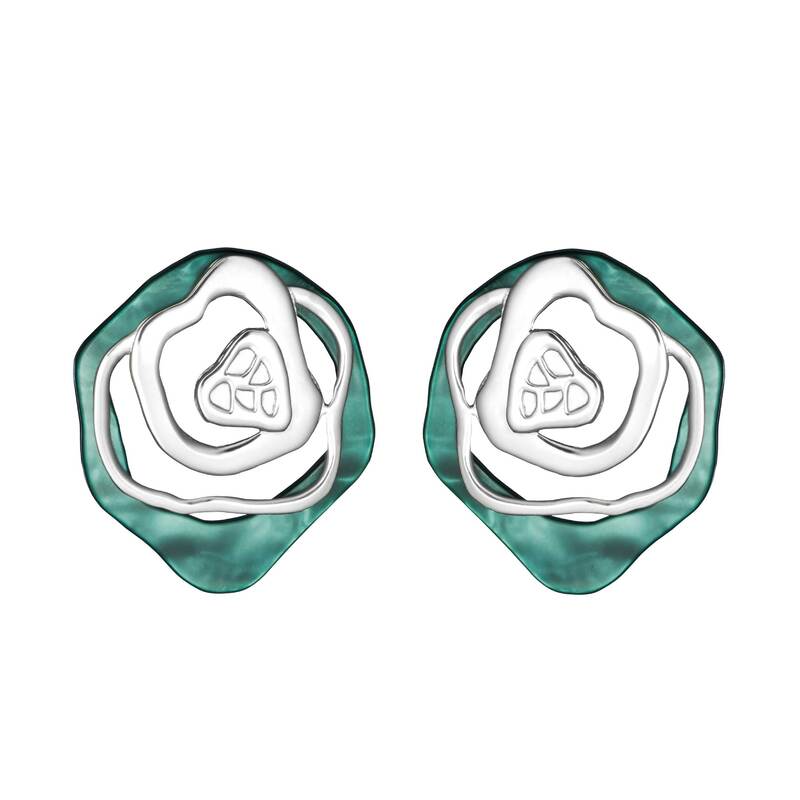 These earrings are designed to be paired with the Jude Benhalim City Grid Ring for a minimalist, casual look.